This film explores the often brutal consequences of the struggle between Uruguay’s government and the leftist Tupamaro guerillas. This 45 year old daybill is in fantastic condition, with only single staple marks to the corners, along with the official deletion of the Australian ‘M’ rating and addition of the New Zealand ‘A’ rating stamp to the letter ‘E’ of any real note, although these are period features and not later faults. Please see the image and ratings guide below for more information. When listing a poster we use the guide below to provide you with a fair assessment of the posters condition. Please bear in mind that this is genuine ‘theatre used’ advertising material and it will inevitably show some sign of use and its age. If a poster has been linen backed (see FAQ’s) we will grade it as per its current condition and endeavor to highlight any flaws it may have had prior to the backing/restoration process. Please feel free to contact us should you require a more detailed condition report. 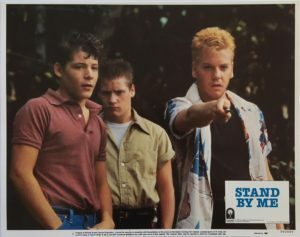 MINT: To achieve this grade a poster would have to be totally flawless, no markings or creasing of any kind whatsoever (inclusive of oily fingerprints on high gloss examples). It is highly unlikely you would find a poster that will truly achieved this grade. NEAR MINT: A poster that is virtually unused. This is generally the highest grade that you will find film posters listed, this allows for minor edge dings and creasing to the surface. FINE: A poster showing light wear. It will show signs of use, such as pin/staple holes to the corners, edge dings/creasing, surface creasing/marks and minor wear to the fold lines. VERY GOOD: A poster that is well used but still presentable. It may exhibit staining, surface wear, discoloration, slight fold separation, small tears, increased number of staple marks, increased level of fold wear compared to ‘Fine’ and minor paper loss. For older posters, there may also be minor bleed-thru of a stamp, mark or writing applied to the back of the poster. GOOD: A poster that is heavily used, which can have significant tears/paper loss, an excessive number of pin/staple holes, significant fold separation and tears, tape or tape marks to the front and repair tape to the rear. There may also be staining/soiling, discolouration or light fading. FAIR – POOR: A poster with very significant use/damage, which would require extensive restoration to achieve a presentable appearance, or even a possible candidate for cannibalization to repair an identical poster of a higher grade. Prior to the mid 1980’s the vast majority of ‘One Sheet’ posters were distributed to theatres folded, either with 3 horizontal and 1 vertical fold lines or in some cases just 3 horizontal fold lines (commonly refereed to as a Tri-Fold). A small minority were shipped rolled, usually ‘Studio Style’ examples and it is these that are most desired by collectors who are seeking a poster for display. Studio versions were printed during a films initial release directly by the film studios themselves. These were destined for promotional purposes or gifted to cast/crew and are usually identical to NSS examples. They are nearly always found rolled, and for this reason they are considered highly desirable. NSS versions can be found from just prior to WW2 up until the mid 80’s. They were contracted to print/distribute the majority of all film posters in the US (also some destined for the international markets) and their work is instantly recognizable by the unique coding system (NSS Number) which adorns every title that they printed, whether this be printed on the lower border or stamped on the rear. International versions were still printed in the US, but destined for the foreign market. These examples would usually be missing the ratings information, as what may be classed as a PG in the US may be something different in the UK. Sometimes International versions have unique artwork and for this reason can be highly sought after. As their name suggests, Advance posters usually appear well in advance of the films release and will hint at its release date, for instance “coming soon” or “December”. Where as a Teaser poster will generally show very little at all, perhaps just the films title (as seen on the recent Star Wars Rogue One teaser). These posters are usually produced in far less numbers than general release posters and for that reason are sought after by collectors. 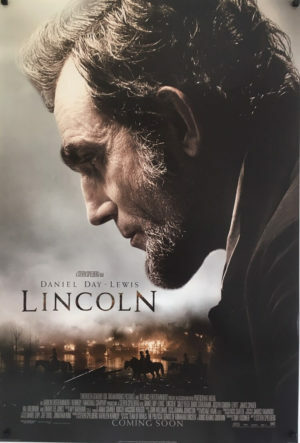 The vast majority of film posters are printed single sided, however in the 1990’s theatres began using light boxes to display them and for this reason most modern film posters are printed on both sides to allow the light to ‘punch’ through and make the image pop. 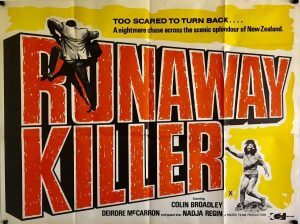 As the name suggests a ‘re-release’ poster was used to promote a film at the time of it’s re-release. These posters are still very much classed as ‘authentic’ film posters and in some cases the artwork may be more appealing than the original release. This is evident in films such as ‘Easy Rider’, with its 1972 re-release poster (showing the iconic image of 2 choppers riding side by side) commanding higher prices than the original 1969 release poster of Peter Fonda. One franchise which has had multiple re-releases is the original Star Wars trilogy, although the original artworks are in high demand, with the re-launch of the franchise by Disney, a surge of interest in many of the re-release posters (particularly for The Empire Strikes Back) has been noted, examples of some of these posters can be found here. Lobby cards are yet another method used by studios & theaters to advertise the film and their use can be traced back to the early 1900’s. They’re usually found in two sizes 11″ x 14″ and ‘mini cards’ at 8″ x 10″ (these are also referred to as ‘front of house’ cards). Each set would consist of 8 cards (occasionally even 10 or 12) with older titles including a ‘title’ card within that number. Some major productions would even warrant the use of jumbo cards which measured a whopping 14″ x 17″. Sadly lobby cards are no long used anymore, however due to them depicting key actors and scenes from each movie they are considered extremely collectible and sadly for this reason are heavily bootlegged/reproduced by criminals and sold as authentic pieces on sites such as eBay on a daily basis. One sure way to spot a bootleg is how ‘minty white’ some of the 70’s & 80’s titles are, almost as if they were printed yesterday (because they likely were). We only source our lobby cards from respected collectors or old theatre employees/owners and don’t mind so much that many of them show actual signs of use, such as multiple pin holes or yellowing. Another thing that makes these cards attractive to collectors is their size, as most department stores sell ‘off the shelf’ picture frames which fit lobby cards perfectly, negating the need for expensive ‘custom’ frames to display your collection. Q: Are all of your posters original? Where do you get them from? 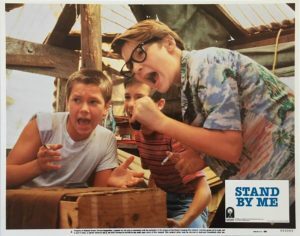 A: Every item in our inventory is guaranteed to be an authentic, original movie poster. We do not deal in reprints or reproductions of any kind. Our posters come from fellow collectors, old theatres, archives and estate sales. Q: Can I get a Certificate of Authenticity with my purchase? A: All of our posters are guaranteed to be authentic. Therefore our invoices act as a certificate of authenticity, should one be needed for insurance purposes. Q: What are the black squares shown in the corners of your posters? A: We use magnets to hold our posters flat whilst they’re being photographed, these do not damage the posters in any way whatsoever. Q: Do you frame posters? A: We don’t frame posters ourselves, we leave that to the professionals. However be aware that there are many ways to frame a poster, some framers will try to convince you to mount your poster to foam board using permanent solvent based glues, or wish to trim your poster down. DO NOT let them do this as it will permanently destroy the value of your investment. I recommend you seek the services of a framer who specializes in conservation framing and one who uses acid free archival materials, also be sure to request UV light blocking glass or acrylic to guard against sun damage. If you are wishing to purchase a poster purely for display, I would recommend considering a linen backed version, this process would have ensured that the poster has been flattened out and is conservation mounted to linen using water based adhesives, this will negate the need for the framer to mount the poster directly onto foam board. For those customers based in Christchurch we recommend the services of Greg at Magma Gallery located at The Tannery, Woolston. Greg regularly frames our own posters for display, including the ‘Star Wars’ trilogy on our home page, and we can vouch for the high quality of his work. Q: Can I reserve or place a poster on hold? A: Yes, we can place a poster on hold for 7 days. After that time we must open it back up for general sale. Q: What is linen backing? A: Linen backing is regarded as the only accepted method of mounting posters. It allows fold lines to be flattend out, imperfections repaired and large ‘multi sheet’ posters to be joined together prior to display/framing. The process starts with the construction of a timber stretch frame large enough to fit the size of the poster in question. A 12oz or 15oz cotton canvas is then stretched onto this frame. Once fastened, a Japanese masa paper is then pasted to the canvas using a wheat based adhesive containing an alkali buffer (to provide a suitable acid free mounting surface), this will usually take 3 – 4 days to dry. As it dries it shrinks onto the canvas backing and forms a tight wrinkle free surface. Once dry, the poster itself is then carefully mounted onto the Japanese paper using the same wheat based adhesive, which is soluble in water, and therefore fully reversible. Like the Japanese paper, as the poster dries it stretches slightly and in doing so it flattens out the fold lines on the poster, this stage usually takes another 3 – 4 days. Once dry, the fold lines and minor imperfections can be worked on using watercolour pencils/paints (again, totally reversible). Once complete the linen backed poster is then cut from the stretch frame and trimmed to leave about an inch of clearance around the edge of the poster. If required, your framer will trim this down again (without touching the poster itself) prior to framing. Q: Can you linen back a poster for me? A: No, we do not offer this service ourselves, however after using many different backers over the years, including more recently a locally based New Zealand restorer, we can only recommend the skills of a select few, these being (in no particular order): Studio C based in Vista, California USA. Vintage Movie Art based in Vancouver, Canada. Studio M based in Melbourne, Australia and the Affiche Studio, based in Portland, Oregon USA. All of these backers do wonderful work, with each website showing you a sample of their restoration results and price guides. Be warned – In the past we have had valuable posters of ours either severely damaged/ruined or returned with shoddy work by other far less skilled backers. This is unacceptable service and these ‘cheaper’ backers will usually sing their own praises and try to convince you to take this damage as ‘common practice’ or ‘the norm’, it is not! and usually a result of them rushing your work to receive faster payment, working in an unclean environment (where foreign matter such as dog hairs etc. become trapped between the poster and the backing material), working with substandard materials, or worse still attempting procedures that they are not experienced/competent in. Q: Do you stock every new release? A: No, we choose to be very selective about which new releases we stock. We do however try to stock a good selection of popular titles, whether they be Star Wars, Bond, Marvel/DC or children’s/animation. Please contact us if you have a particular poster that you are looking for as we can usually track them down. Q: Do you appraise poster collections for insurance purposes? A: Yes, we offer written appraisals. We cannot provide appraisals from photographs alone as to confirm the authenticity/condition and replacement value of a poster we must see it with our own eyes. Shipping of posters must be covered both ways by the client. In cases where it is not feasible to ship your poster for an appraisal (e.g. the size of the piece or the collection is extensive) we can carry out ‘on-site’ appraisals, this option is provided on a case by case basis. Please contact us for more information. Q: Do you buy posters? A: Yes, we buy original film posters from private collectors all the time and always consider purchasing collections of any size, please contact us to discuss further. Q: Do you accept posters to sell on consignment? A: It depends. We generally prefer to buy posters outright. If you have vintage posters valued at $500 or more that you wish to consign, please contact us and we can discuss terms. We will also need to physically see all the items in question to confirm their authenticity and condition. Q: Can I return a poster if I’m not satisfied? A: Absolutely. We offer a money-back guarantee (less shipping charges) for every item we sell providing that it is returned to us in the same condition as we shipped it to you. Please notify us within 48 hours of receipt that you would like to return an item. We ask that you package your return with the same materials and care with which it was sent. A: Most orders are shipped within 48 hours (unless the item is being consigned from an overseas collection), however delivery time will inevitably depend upon your location. A: Yes, please contact us prior to purchasing so that we can provide you with a more accurate shipping quote. Any local taxes or customs fees are the responsibility of the customer, and not will not be included in the shipping fee. Standard ‘off the shelf’ poster tubes often found in post shops or stationary stores are usually of no more than 1.5mm – 2mm wall thickness and as a result are easily prone to damage. Therefore to ensure that our posters arrive with you in one piece, we only use toughened 3mm commercial cardboard tubes. Also, to ensure end caps also stay in place (ensuring that internal pressure is maintained, thus reducing the risk of damage to the tube even more so), we tape them on with extra strong filament tape. The poster is also carefully wrapped in 165gsm Kraft paper, to prevent it sliding from side to side within the tube itself. 1) The posters purchased are in different formats, as in some could be folded and some rolled, therefore they will be grouped ‘as best as possible’ into envelopes and tubes. 2) Tubes and envelopes can only contain a limited number of items and to attempt to force too many in could ultimately damage your purchases. Note: Therefore if you are considering a large purchase, whether in NZ or overseas, please contact us to discuss shipping prior to placing your order. All of our shipping is carried out through NZ Couriers and is all traceable via their ‘track and trace‘ service. All deliveries will also require signature on arrival to ensure that they have arrived in one piece. Note: Once you have received your poster we strongly advise you not to store them in the tube as over time the acid content of the cardboard can cause discoloration to the poster itself. Our appraisal of a posters authenticity, age and market value are based on information currently available within the collector community. Such as the characteristics of known reproductions/bootlegs that we use to verify our own stock. This information is constantly being updated as new forgeries surface on the market. If a poster that at the time of sale we genuinely believed to be authentic, is later found to display a newly publicized characteristic that brings it’s authenticity into question, we will offer a full refund of your original purchase price upon return of the poster. In addition to this, many film posters (particularly non US examples) were not dated. Therefore we try to date them as accurately as possible by going off of the titles theatrical release date for the country in question. However, this is not an exact science and therefore there is a risk of our date estimation being incorrect. The Film Poster Gallery reserves the right to cancel any order for any reason should we feel the need to do so, at which point a full refund will be issued (if payment has been made). We do not carry out linen backing ourselves, therefore we do not guarantee the life of the workmanship or materials used for this process on any poster sold that has previously been linen backed. Please notify us within 48 hours of receipt that you would like to return an item. We ask that you package your return with the same materials and care with which it was sent, once received a refund of the purchase price will be given. Orders that were sourced on behalf of the customer, or orders that were consigned from overseas are not refundable, unless they are found not to be as originally described by us. Return shipping costs will not be covered by The Film Poster Gallery and are the sole responsibility of the customer. For these reasons please study the product image and grading guide before making a purchase, to ensure you are fully aware of any damage/faults that exist.